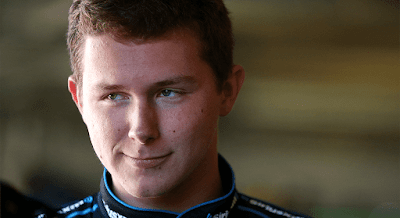 Matt Tifft, twenty-one years old, is joining the Richard Childress Racing #NASCAR XFINITY Series program to pilot the No. 2 Chevrolet Camaro for the 2018 season. With Tifft new to the RCR driver lineup, here are five things you may not know about him. Tifft grew up in Hinckley, Ohio, a town of approximately 3,000 people just a little bit south of Cleveland. Tifft grew up racing go-karts and super late models on both dirt and asphalt tracks around the northeast Ohio area before moving up to the ARCA Midwest Tour. His Ohio roots also make him a Cleveland sports fan, rooting for the Cavaliers, Indians and Browns. In 2016, Tifft was sidelined from racing after it was discovered he has a low-grade brain tumor that needed to be removed. After making an extraordinary recovery, he was back to racing 11 weeks later. Tifft now acts as a spokesperson for the American Brain Tumor Association and helps the non-profit promote brain tumor awareness through events and lobby for federal funding for research and awareness campaigns. Tiff loves Rock and Roll! Growing up relatively close to the home of the Rock and Roll Hall of Fame in Cleveland, Ohio and it influenced Tifft’s music preferences. Tifft loves rock and roll and some of his favorites include Def Leppard, Mötley Crüe, and the Artic Monkeys. Since his brain tumor surgery, Tifft has turned to the Keto diet, a low-carb diet, that helps with different areas of his health. He recently has gotten into trying out new Keto recipes at home and following a podcast called Keto for Normies. In high school, Matt was required to take a foreign language class. The class offerings for Spanish were full so he ended up in a Chinese language class and learned Mandarin instead. Though he’s not fluent, Matt keeps up with the language and has a strong vocabulary.